Receiving the news that you need a tooth extracted can bring on a number of different emotions! 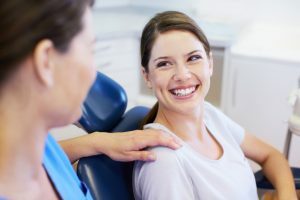 There may be fear or dread about the procedure, and you may feel anger, frustration, or even depressed about losing a tooth or having to go through the recovery process. Whatever your feelings may be, if you need a tooth extraction in Naples, look no further than Dr. Mark Makram to guide you through the process. For almost two decades now Dr. Makram has been helping patients restore their smiles and he can definitely help you! Here are some tips for an easy and smooth recovery. Dr. Makram makes every effort to make your extraction procedure comfortable and efficient. As with any restorative procedure, you’ll receive anesthetic that will numb your tooth and the surrounding area, so you won’t feel any pain during your treatment. Most patients are surprised at how easy their extraction and recovery was to manage. For our patients who are fearful or anxious about their procedure, Dr. Makram offers a wide range of sedation options designed to help you relax and feel at ease during your procedure. From nitrous oxide that is used to “take the edge off,” to IV sedation that is used to help you completely relax, Dr. Makram has an option that will put your mind at ease and allow you to complete the treatment that you need. Relax and sleep. Avoid physical activity the first couple of days after your procedure. You may also want to arrange a ride to and from your extraction appointment so that you’re able to go home and relax stress-free. A driver is required if you need dental sedation for your appointment. If you need a tooth extracted, let Dr. Makram and his team take care of all of your needs. If replacing your extracted tooth is also a need, Dr. Makram is highly skilled and offers many different options for replacement such as dental implants. Don’t let fear, frustration, or depression hold you back from having treatment that you really need. Dr. Makram can remove your tooth and restore your smile; there is never a hopeless case. Contact our office today to learn more.